Many organizations have adopted methods, models, and standards to improve their software processes. However, despite these efforts, they can still find it difficult to deploy processes throughout the organization because most of them focus more on the technical rather than human aspects. 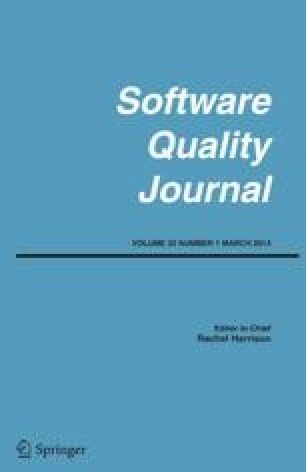 This paper proposes a taxonomy of critical success factors for software process deployment. A method to create this taxonomy was developed and applied based on a systematic review of existing literature and is complemented with industry experiences where software processes have been deployed or implemented. Finally, the categories, subcategories, and items of this taxonomy are presented. This work was sponsored by everis Foundation and Universidad Politécnica de Madrid through the Research Chair in Software Process Improvement for Spain and Latin American Region. Busch, J. (2008). Teaching taxonomy methodology. http://www.taxonomystrategies.com/presentations/2008/Woodley-2008-07-24.pdf. Centelles, M. (2005). Taxonomías para la Categorización y la Organización de la Información en Sitios Web. Hipertext.net, http://www.hipertext.net. Craig, S. (2007). A taxonomy of information systems audits, assessments and reviews. http://www.sans.org/reading_room/whitepapers/auditing/a_taxonomy_of_information_systems_audits_assessments_and_reviews_1801?show=1801.php&cat=auditing. Crandall M. (2000). Using taxonomies effectively in the organization. Microsoft information services. http://www.infotoday.com/kmworld2000/presentations/crandall.ppt. Graef, J. (2001). Managing taxonomies strategically. Montague Institute Review. http://www.montague.com/abstracts/taxonomy3.html. Lepasaar, M., Varkoi, T., & Jaakkola, H. (2001). Models and success factor of process change. In Proceedings of product focused software process improvement (PROFES 2001) (pp. 68–77), Sept. 2001. doi: 10.1007/3-540-44813-6_9. Regli, T., & Daniel, R. (2005). Taxonomies and meta data for business impact. Taxonomy strategies. http://www.taxonomystrategies.com/presentations/Taxonomy_Tutorial_Regli_and_Daniel(final).ppt. Valerio, G. (2003). Desarrollo de Taxonomías. http://memoriadigital.lacoctelera.net/post/2006/04/05/desarrollo-taxonomias. Verity. (2004). Classification, Taxonomies and You. Verity White Paper. http://www.weitkamper.com/download/verity/verity_mk0648.pdf.